Announcement: We’re Hitting the Shelves! Disenchanted is hitting the bookstore shelves! 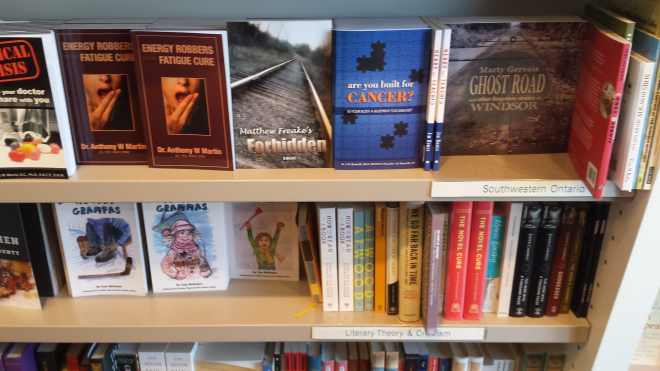 My dream has always been to ‘one day’ walk into a major bookstore, like Chapters or Indigo, and find my book on a shelf. I didn’t know then just how much of an uphill battle that would be, but that dream set me on the path to finishing not only one novel, but several, and through the painstaking process of learning the publishing business and becoming an entrepreneur. And, today, that dream is finally within sight. Categories: Uncategorized | Tags: book clubs, bookshelf, bookstore, brick and mortar, indigo books, mustreads, print, publishing, teen, YA, YAFiction | Permalink. This one follows in the tradition of Romeo and Juliet. Two young people on the opposite sides of a massive feud, struggling with a love that could destroy them. For anyone who knows of my obsession with Shakespeare, it shouldn’t come as any surprise that I really enjoyed this book. Now, I don’t want anyone mistaking my meaning here. While this story does have some of the elements present in Romeo and Juliet, it is also vastly different. Much like many of the books and movies that have rehashed some of the Bard’s tales (Lion King, Ten Things I Hate About You, etc. ), it takes the basic outline and creates a wonderful, new story. I found the story to be well written. It was filled with rich descriptions that enhanced the magical portion of the story’s world. I found some of the supernatural elements of the story to be crafted slightly different than some of the others I’ve read. This gave it a refreshing point of view that I appreciate- it helps keep the genre from getting too cliche. I loved the way Goff used the idea of the star-crossed lovers, the pair that succumbed to their families’ hatred, as a cautionary tale for those that came after and enhanced it with a tale of powerful magic and intense hatred. For a young girl to navigate her way through a world with so many obstacles and try to overcome insurmountable odds… truly amazing. In a way it is typical coming of age story. Sophie is reaching the point in her life where things are going to start changing and those changes are going to shape who she becomes but her journey is a little different than that of a normal girl- which is to be expected since she is a witch. She starts off with only the most basic knowledge and though she longs to know more, the answers aren’t easily found. With a little help from the spirit world she learns more and more about her world, her past, and events that threaten her future. Enemies are present at every turn and she struggles to make the right decision before it’s too late. This was a very creative and enthralling book which is why I am giving this one a perfect 10. I really loved this one and I can’t wait to read more from this author. A forbidden love, a dark curse, an impossible choice. Orphaned sixteen-year-old Sophie Goodchild is an outcast among the ordinaries and her coven, but not because she’s untalented. Descended from a powerful Wethersfield witch, her spellcasting gift is awkwardly emerging, but that’s the least of her worries. The boy she’s forbidden to fall for, a descendant of the man who condemned her ancestor to hang, carries a dark secret that could destroy them both unless Sophie learns how to tap into the mysterious power of her diamond bloodcharm. Suspenseful, dark, romantic, and brimming with old magic, Disenchanted captures the intrigue of New England’s witchlore. Categories: Fiction, published, YAfiction | Tags: author Skype visits, Book Blogs, book clubs, Book Reviews, Magic, Romance, Witches, Writing, YA, YAFantasy, YAFiction | Permalink. Disenchanted Release Day Blast + Review. I don’t know where to start telling you how much I loved this book! 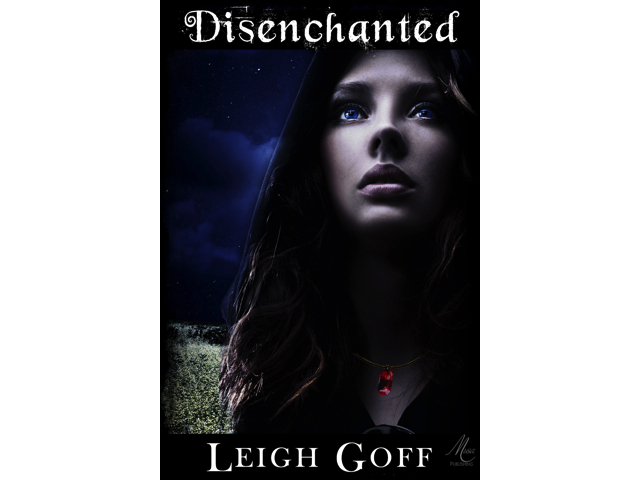 With shelves filled with witchcraft stories, fiction and historical alike, I think Disenchanted will forever stand out as one of my favorites. Sophie, even while being supernatural, remains human. Thought she fights between her head and heart she ultimately makes her decisions based on her heart. That’s something I think we can all relate to. One of the things I loved about Disenchanted is it’s parallels to Romeo And Juliet. Along with all my “whitchy” books, I love to read classics and Romeo And Juliet has always been a favorite. Leigh Goff merges the two worlds in such a way that I won’t ever be able to read R And J without wondering where all the spells are! She also found the one thing that R And J was missing…a Hottie McTottie Brit with a rebellious streak 😉 Another thing that drew me so far into the Disenchanted world was all of the subtle hints of real history woven in. It just makes you believe that this actually happened and that they just tried to keep it all quiet. I mean, you can even search the last name of ‘Hottie McTottie’ and you’ll pull up Salem Witch Trial articles! I know this review is kind of short, but it’s late (because I could not put this book down and I had to talk about it right away!) Overall I’m giving this book 5 Stars and a permanent place with my favorite books. Leigh Goff writes with such vivid imagery that you finish reading it and could swear you witnessed the events firsthand. She is definitely an author to keep you’re eye on. I think we are going to see some amazing things from her. Leigh Goff is a young adult author from Annapolis, Maryland. She is a graduate from the University of Maryland and a member of SCBWI. Categories: Fiction, YAfiction | Tags: author Skype visits, book clubs, Books, DebutNovel, Ebook, Magic, paperback, Reads, Romance, Wethersfield, Witches, Writing, YA, YAFantasy, YAFiction | Permalink. 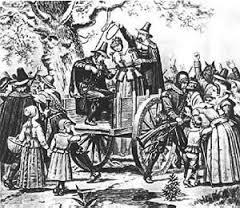 The first American witch trials took place in Wethersfield, Connecticut, a historic Puritan town near Hartford, in the sixteen hundreds. During this time, the Puritan population of Wethersfield was suffering from bouts of sickness and mental fits, for which they blamed the devil, whom they believed was surely acting through powerful female vessels. Neighbors began spying on one another and casting blame on women like Rebecca Greensmith. In 1662, several witnesses spied her dancing, drinking, and making merry in the woods with other accused witches. Then a neighbor who was afflicted with fits of blasphemy accused Rebecca of bewitching her. The Wethersfield witch hunts were followed by trials that were presided over by the Reverend Increase Mather (his son, Cotton, grew up to be just like dad and, a few decades later, had his own hands bloodied with the Salem Witch Trials). Rebecca, who was not afraid to hide what she was, admitted to having conversations with the devil, claiming to form a pact with him, as well as colluding with other witches in the woods. Her shocking confession along with, in the Reverend Mather’s judgment, her lack of fear for God, her familiarity with the devil, and her involvement in unnatural events, was enough for him to condemn her to death by hanging. The historical event left me to wonder…what if Rebecca’s story did not end there? After all, she admitted to having an alliance with a powerful figure and she had a reputation for hexing neighbors. Who is to say she did not have time to take her vengeance on the Mather bloodline before the noose slipped over her neck? This question along with the Wethersfield history inspired my debut novel, Disenchanted, where Sophie Goodchild, my curious and impetuous sixteen-year-old half-witch protagonist, is a modern-day descendant of the aforementioned Rebecca Greensmith. As Sophie struggles with her emerging magic and deals with a group of full-blooded witch frenemies, her impatience and curiosity lead her into trouble. She meets the mysterious Alexavier Mather, a descendant of Increase Mather who had a hand in hanging Sophie’s ancestor at Gallows Hill. When he reveals his name, she immediately hates him, but senses he is hiding a dark secret and there’s nothing Sophie loves more than uncovering a good secret. Danger finds her as she delves into the mysteries from both their family’s pasts. Then she begins to fall for the forbidden Alexavier who reveals that his bloodline is hexed with a true love curse that could destroy them. But there is hope. 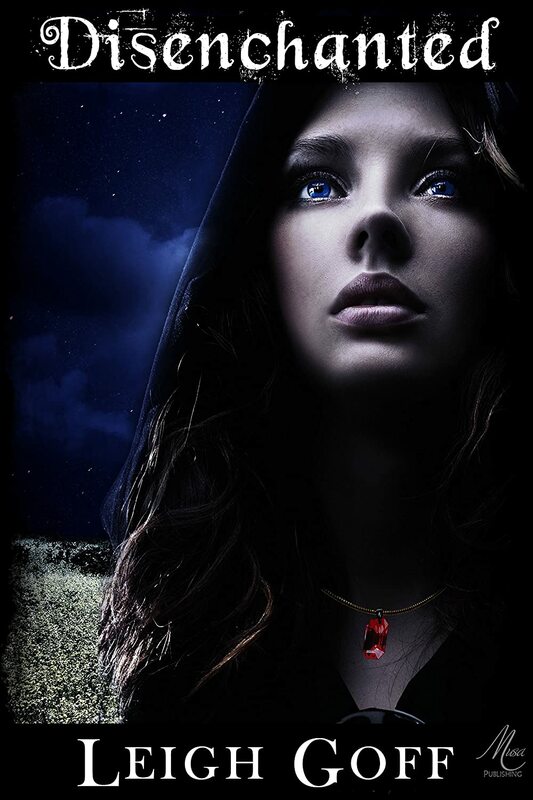 If Sophie can learn how to tap into the mysterious power of her diamond bloodcharm and find an ancient book of dark spells, she might be able to disenchant the Mather bloodline and save them both. However, she must first deal with the deadly threat that is Alexavier’s father, Judge Mather, and he has a nasty secret of his own that will drive Sophie to make an impossible choice, one from which she may never return. Categories: Fiction, YAfiction | Tags: author Skype visits, Beach Reads, Book Blogs, book clubs, Books, Ebook, Fantasy Romance, Magic, Paranormal Romance, Reads, Romance, Teen Fiction, Teen Romance, Wethersfield, Wethersfield Witches, Witch Hunts, Witches, YA, YAFantasy, YAFiction | Permalink. In Bewitching Hannah, Hannah Fitzgerald is a sixteen-year-old royal descendant who wants nothing to do with her magical heritage. Her frenemies, the Queen Js are nicknamed after their ancestor, Queen Jane Grey. Hannah’s scarred love interest, William Calvert, is a descendant from the royal Grey bloodline. Anyone familiar with Maryland’s history will recognize the surname Calvert along with Arundel, after all numerous parks, historic sights, and streets bear the names, especially in Annapolis, which is where the story is set. These families are all intertwined in a real legacy of royalty, witchcraft, and alchemy, which I incorporated into the story. 1400s: Henry de Grey, 4th Baron Grey of Codnor and a distant blood relation to Queen Jane Grey is said to have been extremely interested in alchemy, going so far as to garner the King’s permission to transmute mercury into silver or gold. In 1478, concerned with the ruling power Gerald FitzGerald, 8th Earl of Kildare held in Ireland, the King dismissed the earl as Lord Deputy and appointed Henry de Grey in his place. Elizabeth Woodville, a well-known witch whose first husband was John Grey of Groby, produced a son from that marriage–Thomas Grey, the 1st Marquess of Dorset and two daughters, one of whom was Lady Eleanor Grey who married Sir John Arundel. They are the ancestors to Maryland’s Arundel and Calvert families. Elizabeth Woodville went on to marry King Edward IV and became the Queen consort of England. The TV series, The White Queen, is based on her life. Their daughter, Elizabeth of York, became the Queen consort of England and the mother to King Henry VIII. In 1530, Henry de Grey’s descendant, Lady Elizabeth Grey, the granddaughter of the witch Elizabeth Woodville, married the 9th Earl of Kildare, who was rumored to be a warlock. They produced a son, Gerald FitzGerald, the 11th Earl of Kildare, who was commonly known as the Wizard Earl for his fascination with alchemy, metallurgy, and ancient magic. 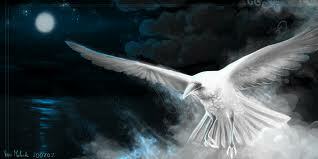 He was known to have magical powers, which allowed him to transform himself into a blackbird. The FitzGerald bloodline claims the magic from Áine, the Irish goddess of summer. She is associated with the Fitzgeralds through marriage to the 3rd Earl of Kildare. As a fiction writer, I enjoy weaving factual history into my fantasies. Attached is the family tree that shows the fictional relationships of the book’s main characters to the real historic figures that inspired Bewitching Hannah. This tree was not included in the book. 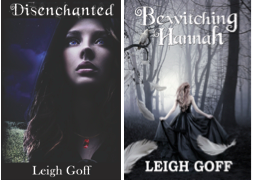 To purchase a copy of Bewitching Hannah, please click here. Categories: Uncategorized | Tags: Alchemy, Annapolis, Arundels, author Skype visits, Bewitching Hannah, Book Blogs, Calverts, Elizabeth Woodville, Fitzgerald, Grey, Magic, Tudors, White Queen, YA, YAFantasy, YAFiction, York | Permalink. In my upcoming novel, Disenchanted, Sophie Goodchild is my sixteen-year-old half-witch main character, living with her eccentric aunt, struggling with her erratic magic, and bullied by a group of full-blooded witches she humorously refers to as the glitterati because of an illegal glitter charm they use. She is a natural beauty with long, untamable waves of sable-colored hair, eyes the color of dark blue sapphires, and heart-shaped pillowy lips. More importantly, she is beautiful on the inside, although she hides it well behind her impatience and impetuousness, which only makes the reader love her more. It is those heart-strong characteristics that lead her into trouble and, since she is ruled by her emotions, she’s all in once she finds trouble. She is fiercely loyal, determined, and fearless and there is nothing she wouldn’t do or sacrifice for the ones she loves, especially when she learns of the true love curse and the deadly threat that is Judge Mather, a wicked descendent of Increase Mather who had a hand in hanging Sophie’s ancestor at Gallows Hill, Connecticut in the 1600s. Wait until he finds out his rebel-hearted son has fallen hard for the forbidden half-witch. I have been asked before which actress would portray her if a movie were ever made and, after searching through some familiar on-screen faces, I think Danielle Campbell, pictured above from the Disney movie, Starstruck, would be a nice choice to play Sophie. Categories: Fiction, YAfiction | Tags: author Skype visits, Book Blogs, book clubs, Books, DebutNovel, Ebook, forbidden love, Magic, paperback, Reads, Romance, Wethersfield, Witch Hunts, Witches, Writing, YA, YAFantasy, YAFiction | Permalink.